The critical step in genetic analysis and testing is the extraction of DNA from collected samples. 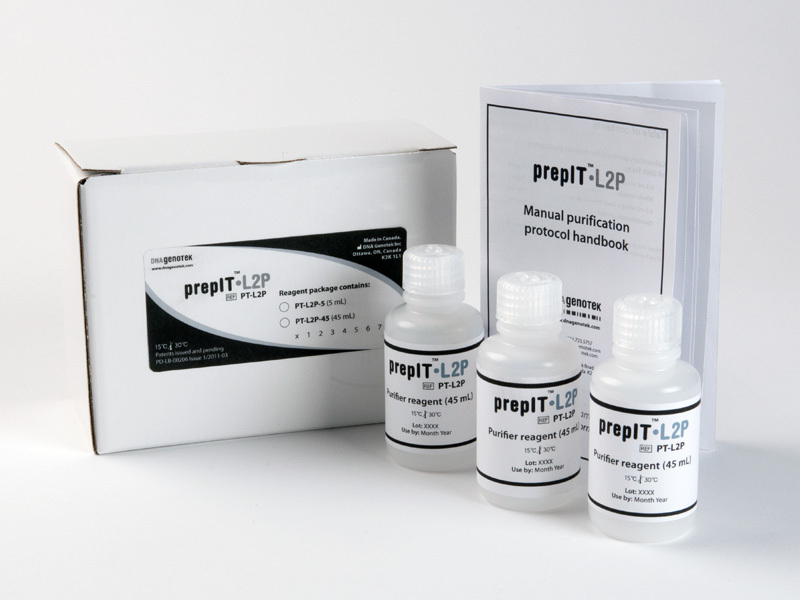 Maximize the recovery of DNA from your Oragene and ORAcollect samples with the prepIT DNA extraction kit. prepIT•L2P is available in multiple volumes, depending on the number of preparations you require. Download PD-BR-00055 – prepIT•L2P (PT-L2P) data sheet.